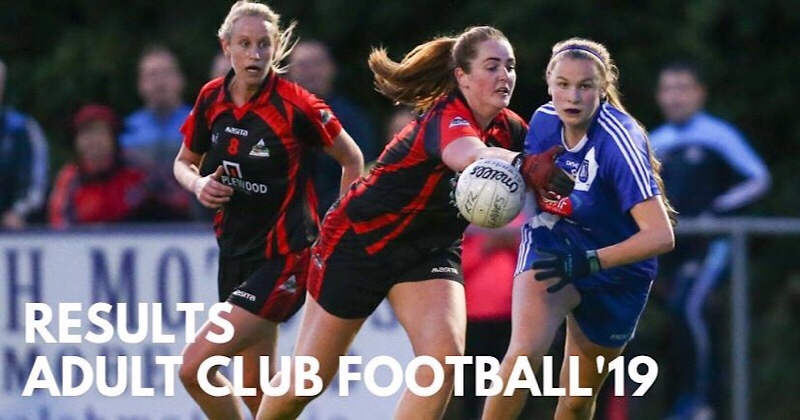 The ladies in both Camogie and Football take centre stage this weekend in league, Leinster and All Ireland competitions. Four games all taking place at the same time on Sunday in four different venues. But we’ll be bringing you as many updates on the games as we can across the day. So let’s get into the details. It’s the final round in this year’s Leinster Minor Ladies Football Championship. And reigning champions Dublin are having a unfortunate run. So far they’ve faced both Meath and Kildare. And on both occasion came out second best. So they’d like nothing more than to finish the round stages with a victory over Offaly this weekend. But it will be a difficult task away from home. Ten points seperated them from Meath in the opening round, and the gap increased to twelve in Hawkfield against Kildare mid March. Let’s hope the girls can finish positively this Sunday in Ferbane. It’s the final league game for Dublin’s Intermediate Camogie Panel, and it’s not one they ever wanted to be part of. But due to four losses in their Group 3 campaign, they must now fight for their Division 2 safety or face the drop to Division 3. The only luck they’ve had so far was getting the better side of the playoff draw and avoiding playing two games. Carlow and Kerry squared off in the first playoff, and with Kerry winning it secured their Division 2 status next year. For Carlow they must do battle again, this time against Dublin. Dublin came within two scores for results against both Antrim and Kilkenny, but fell short on both occasions. And with Derry and Laois winning their games against them comfortably, it just wasn’t the year for the reigning All Ireland Premier Junior Camogie Champions. With so much at stake this will be a tense game in Banagher this Sunday. The last in three rounds of this year’s Leinster U16 Ladies Football Championship, and Dublin will be looking to recover from their 6-08 to 1-08 loss to Meath in the last round as they welcome Kildare to TU Dublin’s campus in Blanchardstown. The venue has been their home turf for the competition, and they’ll be looking for a positive finish to the group stages of this competition. The girls in blue had an epic 6-06 to 5-06 win against Longford in the opening round and then were outplayed by Meath two weeks ago. So this game is of huge importance. Dublin last played Kildare in last year’s Leinster Final and it was the Lillies who were crowned champions, despite Dublin beating them earlier in the round stages. If there’s one thing for certain, Dublin’s U16 Camogie panel are the hungriest team in the county at the moment and after two amazing performances against Offaly and Kilkenny. The girls have showed enormous heart and talent and have entertained from the first throw in. Their skill and intelligence against Offaly earned them a well deserved 3016 to 0-04 win on day one. And last week, they left a win behind against Kilkenny, having to settle for a draw against the reigning provincial champions. This Sunday they go in search of another victory, and Wexford will be waiting. Last year Dublin went to Coolgreaney and came away with a 1-14 to 1-08 win. This Sunday they’ll be hoping for the same. And on paper, there’s no reason why they won’t. And that’s this week covered. 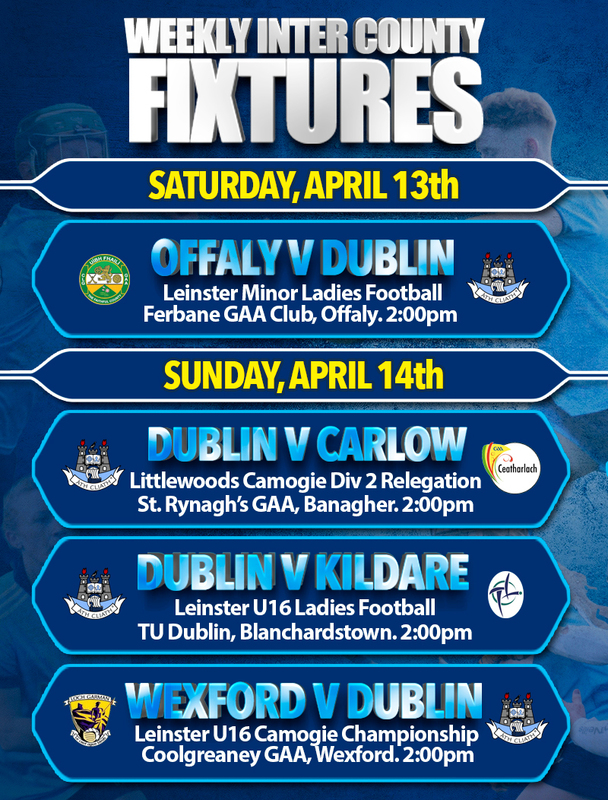 Stay tune to www.wearedublin.com for news and updates on these games and more.